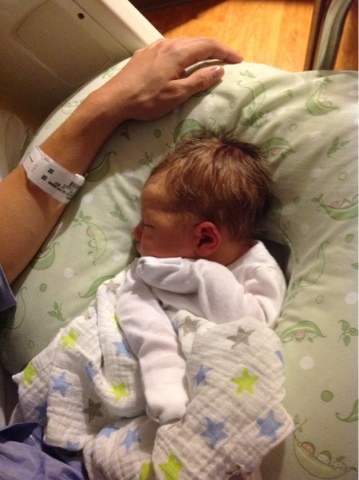 Two Little Cheers: Welcome baby Jack! Our new little man, Jack Michael made his arrival last Tuesday at 12:14. Weighing in at 7 lbs 12 oz and 21.25 inches long. It was a pretty fast labor and I'm healing well. We are all getting adjusted to having him home. Big sister Evelyn is doing great. She loves her new baby brother.